Phyllis Craig-Taylor’s formative years in Jim Crow-era Alabama cultivated in the educator a passion that would shape her entire legal career. These early childhood years would be the beginning of Craig-Taylor’s long fight toward justice for all students to receive a quality education. Today, that battle is still ongoing as the Brown v. Board of Education’s 1954 mandate to integrate schools with “all deliberate speed” turned out to be “as slow as possible,” Craig-Taylor said in an interview with WUNC last year. 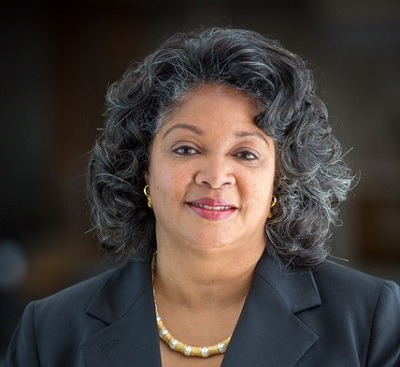 Now, Craig-Taylor — with more than 25 years of legal experience — is in a position to shape and inspire the next generation of lawyers at the North Carolina Central University School of Law, where she has served as professor and dean since 2012. Craig-Taylor’s own practice revolves around real estate and property law, land loss in the African-American community and discrimination in the application of laws for women and other minority groups. “We want our students to use their legal education to impact the community,” she says. The majority of NCCU’s law curriculum involves teaching students analytical reasoning, how to access the law and problem-solving. Law professors infuse practice-ready problems from a student’s first year and continue to do so throughout their program of study. Students also are able to cultivate necessary legal skills and engage in service through 12 clinical programs of various specialties, and two externship programs at NCCU’s law school. The opportunities provide students with experiential learning opportunities and provide community members who cannot afford it the legal counsel and services they need. Additionally, Craig-Taylor’s leadership saw the establishment of a support program focused on students’ study skills, reading comprehension, time management, examination preparation and successful bar preparation. This has helped to equip law graduates for practice on day one. “Now more than ever, employers are demanding a graduate who has a skill set that will allow them to start practice immediately, so they will not have to spend the first one or two years teaching them the fundamentals of how to practice law,” Craig-Taylor says. As such, she adds, NCCU law officials “thrive” on graduating “practice-ready” lawyers because the “cornerstone” of the law school has long been preparing students to be ready to practice in the profession. “The curriculum at this law school does that with extraordinary excellence,” she says. Craig-Taylor says some of the most defining moments in her legal journey have been serving as dean of NCCU’s law school and being appointed to serve on the advisory board for historically Black colleges and universities by former President Barack Obama. As dean, she has certified more than 1,000 juris doctorates and has witnessed her students progress in their law careers. On Obama’s advisory board advocating for education policies that support HBCUs, Craig-Taylor’s own lived experiences positioned her as an authority figure on the issues affecting the institutions. Craig-Taylor says lawyers of color and those trained at HBCUs, particularly, have “a charge to serve” underserved persons and communities. NCCU’s law school offers a virtual justice project that gives students and alumni attorneys the opportunity to serve rural and low-income marginalized communities from a remote location in an effort to address the under-representation of minority lawyers and the lack of legal access for those communities, Craig-Taylor adds. In recent years, NCCU’s School of Law has been praised for its diverse student and faculty body, something Craig-Taylor notes is essential for diversifying the representation people receive in practice. Her service as dean and commitment to social justice is in alignment with the civil rights work of her parents who sent most of her siblings to HBCUs and Craig-Taylor — the youngest of 12 children — and two of her siblings to predominantly White institutions as part of the movement for integration. Having received a bachelor’s degree and J.D. from the University of Alabama Tuscaloosa and a master of law degree from Columbia University, Craig-Taylor began her career as a practicing lawyer. She served as a partner in the law firm England & Bivens and as a judicial clerk for the Alabama Supreme Court under Judge Mark Kennedy, the son-in-law of the infamous governor George Wallace. Craig-Taylor later transitioned to academia, teaching students at law institutions across the country and internationally. Before serving as NCCU’s law dean, she served as associate dean of academic affairs and professor of law at the Charlotte School of Law. She has served as a law faculty member and visiting scholar at several institutions, including the University of Tennessee, the University of Florida, the University of San Francisco and the University of Warsaw Center for American Law in Poland. The dean is currently a member of multiple community boards, the Council for the American Bar Association Section of Litigation and the Heirs Property Retention Coalition. She serves on the Ethics Advisory Committee of the North Carolina State Bar. This year, NCCU School of Law officials faced an accreditation inquiry that required a re-examination of standards and admissions policies. The American Bar Association (ABA) issued a letter to NCCU Chancellor Johnson O. Akinleye and Craig-Taylor in January indicating that the institution was “significantly out of compliance” with ABA standards. In 2017, 54 percent of NCCU’s law school graduates passed the bar exam on their first try — 5 percentage points lower than 2016’s passing rates — and nearly 38 percent of students who began their studies during the 2016-2017 academic year did not persist to the second year. Addressing the concerns, the institution mandated that all incoming law students hold an LSAT score of 142 or higher and a grade point average of 2.96 or higher. Further, NCCU decided to spend $300,000 to prepare recent law school graduates for the July bar exam; to decrease the number of students in the incoming class by 30 percent, to about 110 students; and to replace Craig-Taylor with an interim dean until a permanent dean is appointed. However, Craig-Taylor will continue on as a faculty member in the law school. Continuing on in a new capacity, Craig-Taylor says she has “high hopes” for the next generation of lawyers and the issues they will take on. Particularly, she wants upcoming lawyers to not only see issues from one perspective, but to see them through multitude of lenses. “I hope to see a renewed respect for the law, our democratic process strengthened, our justice system improved and an improvement in the systemic issues that impact wealth disparity,” she says. This article appeared in the July 12 issue of Diverse. It is one in a series of stories about law school deans. Tiffany Pennamon can be reached at tpennamon@diverseeducation.com.